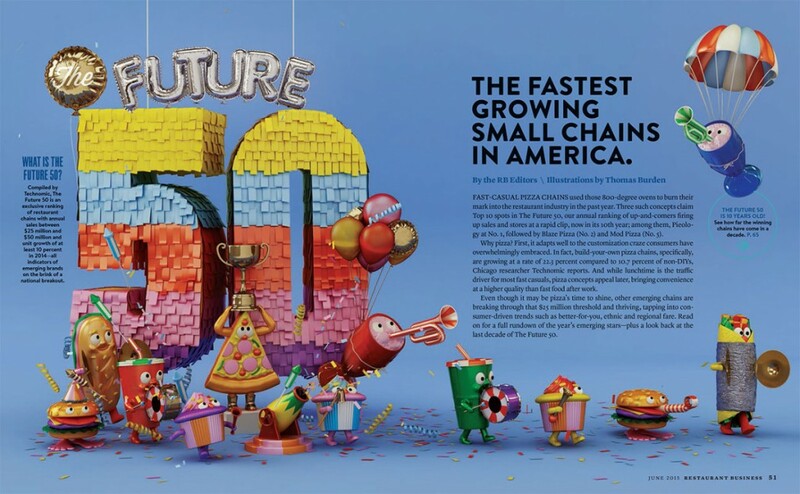 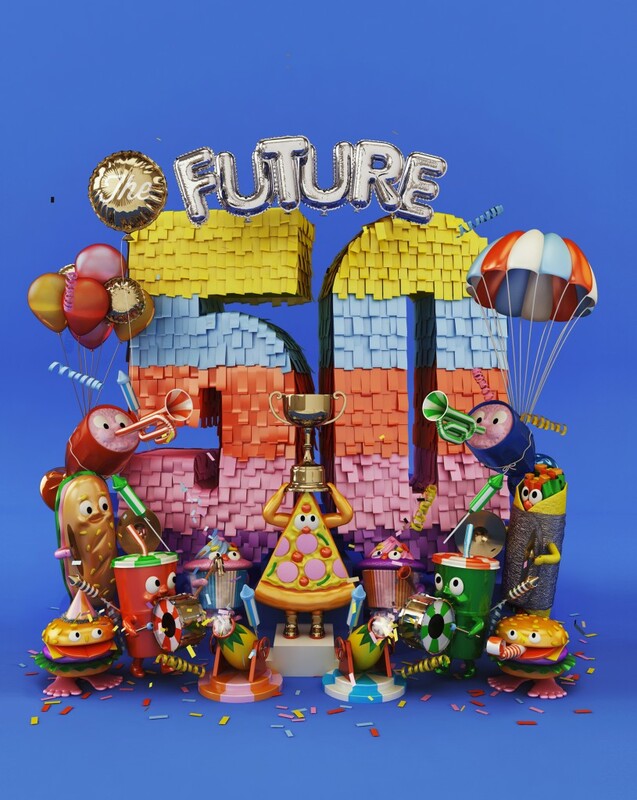 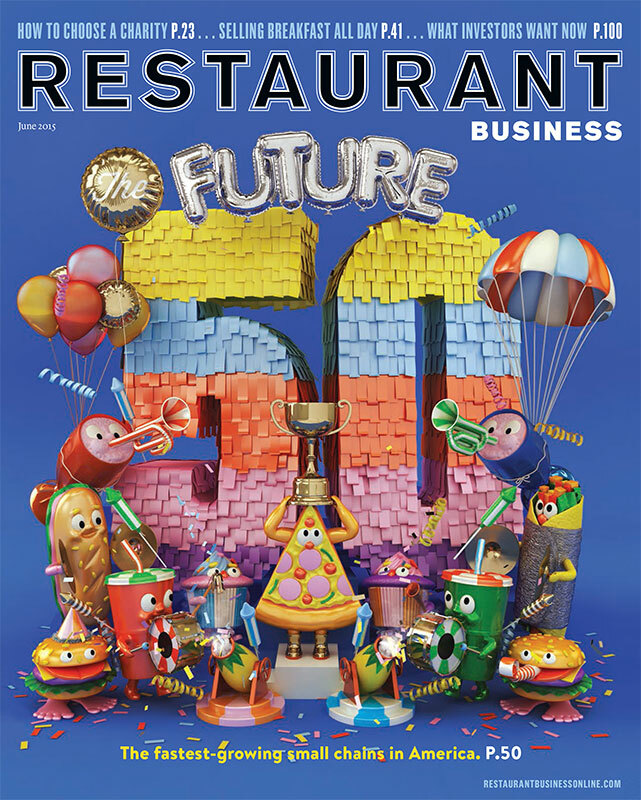 US magazine, Restaurant Business, commissioned us to come up with a cover for their issue announcing the top 50 fastest growing small chains in America. 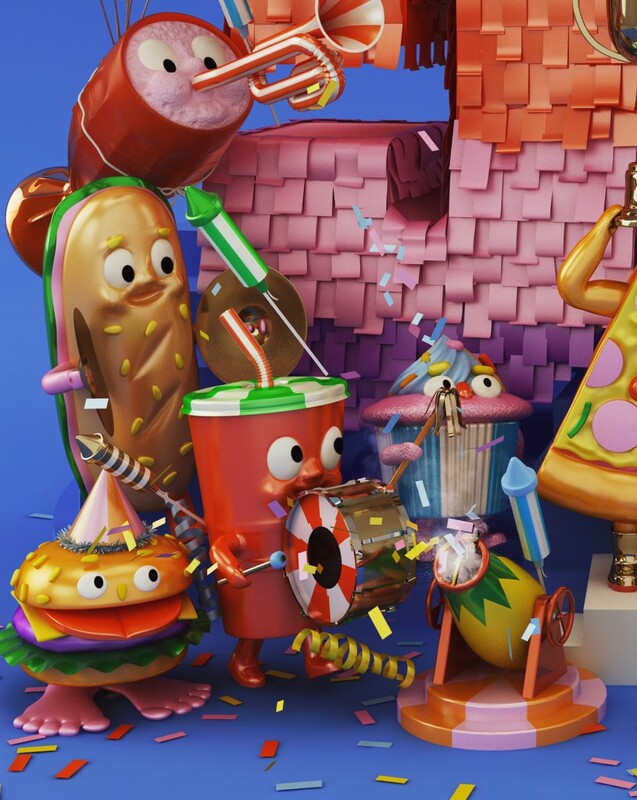 We gave them a few ideas, but were glad they chose this one, featuring various characters celebrating the pizza’s victory (the top chain was a pizza chain). 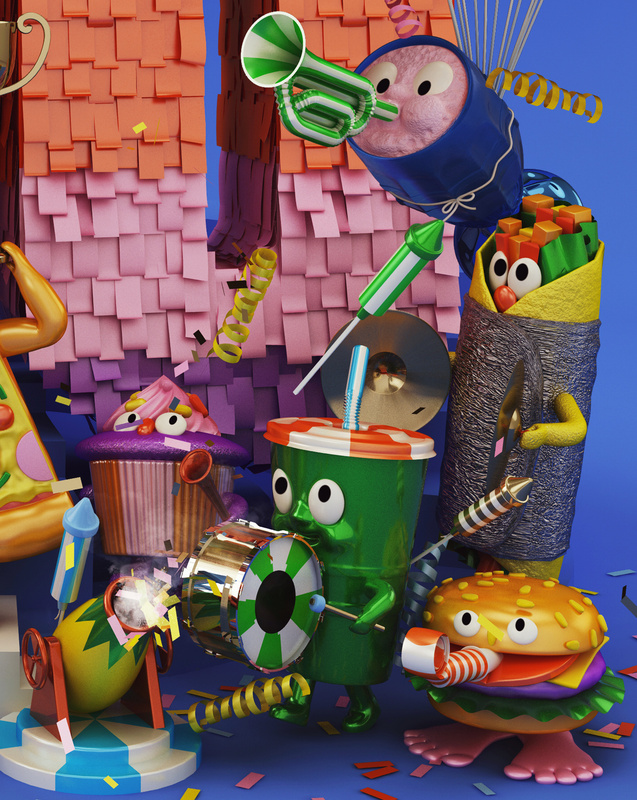 We then re-appropriated all the elements to run as a double page spread for the feature article.